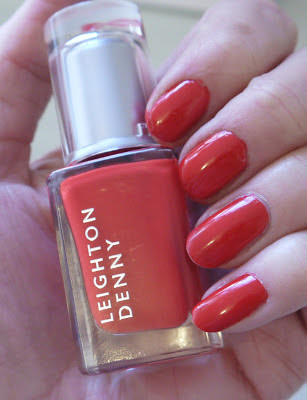 BEAUTY & LE CHIC: Leighton Denny Viva La Diva and more! 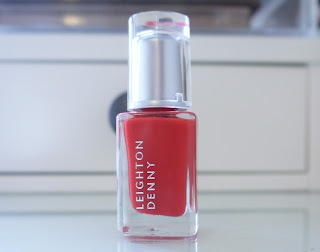 Leighton Denny Viva La Diva and more! Move over Essie, there’s a new kid in town. Okay, not exactly a new kid but a new love at least. Everyone knows that Leighton Denny’s crystal nail file is the shiz, but for some reason I didn’t pay much attention to their polishes until I got an amazing LD set for Christmas. After using all of the four polishes I can honestly say they’re consistently fantastic. The formula is thin (i hate it when they’re thick and gloopey) yet very opaque. In 2-3 coats I had an amazingly professional and long lasting finish. And I mean long lasting, no chips or fading for 4-5 days. I love Viva la Diva, it’s such a striking red. And because it's more of an orangey red it's very flattering and didn't drain the colour from my hands (even if the camera did). The star of the show for me if the One for All multi purpose ridge filler, base coat, top coat and clear gloss coat. I'm all for multi tasking but was pretty dubious that this unassuming little bottle could do so much. Well guess what it can! 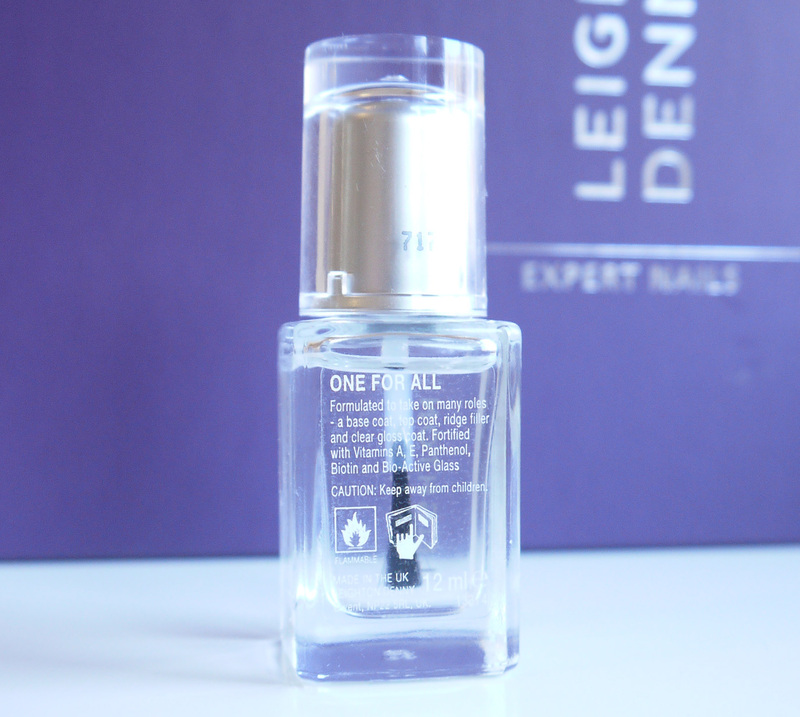 I've used it as a base and top coat with other branded nail polishes and they last so much longer than usual. 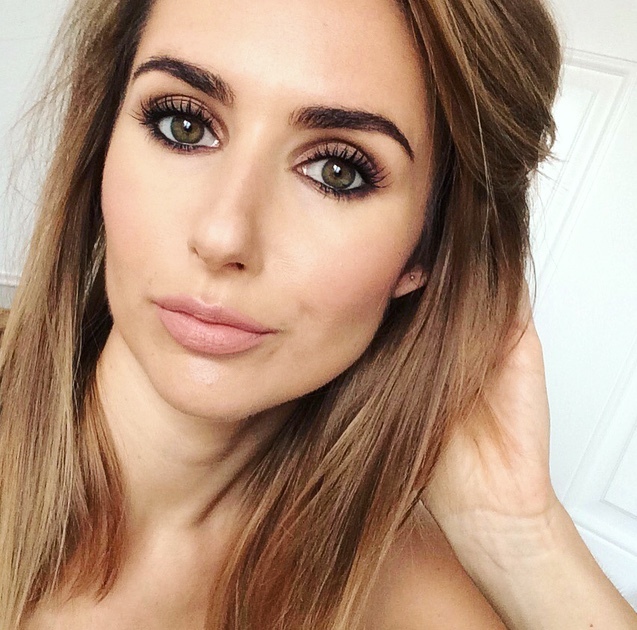 I can't find the exact one but here's a similar one on QVC £36.50. Single polishes retail for around £11. love the collection of pink/red colours! 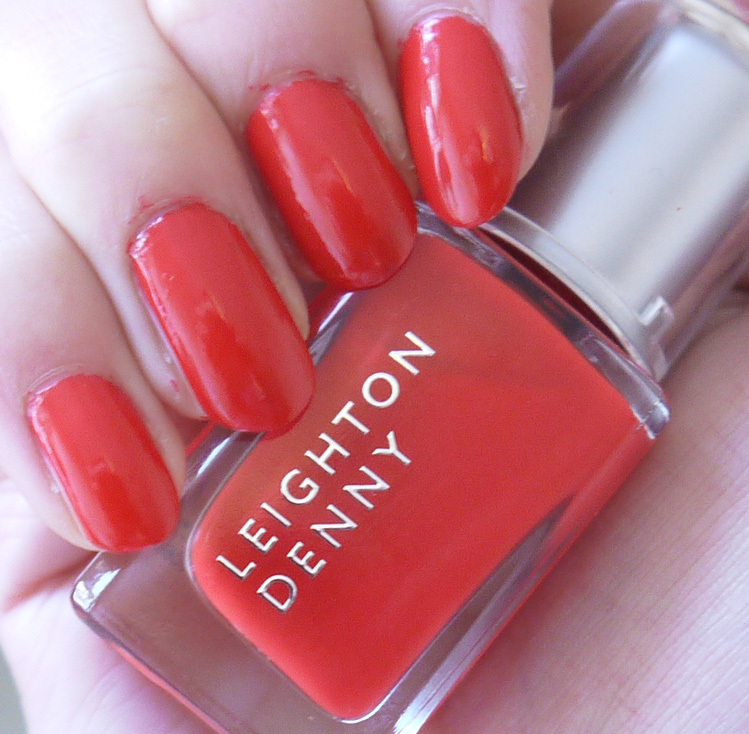 You must try Supermodel too, it's a classic LD and definitely my favourite and most worn Leighton Denny polish!